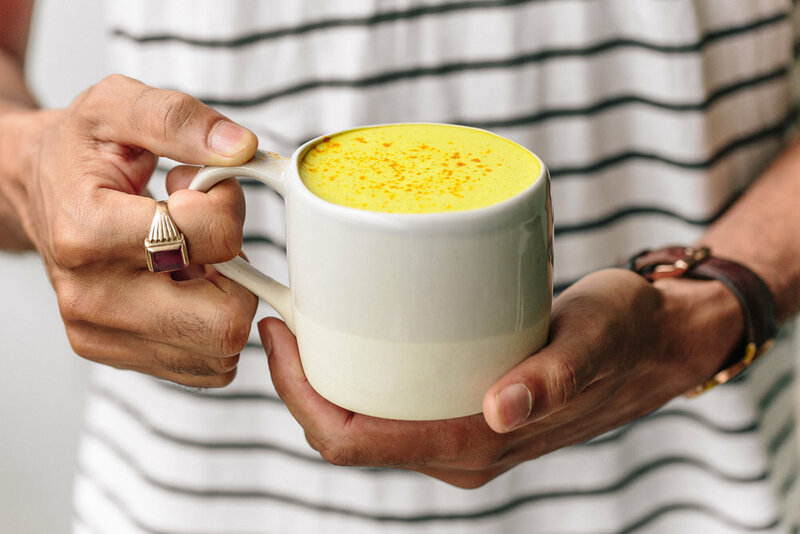 This healing turmeric latte or golden milk is the perfect nourishing blend to boost your immune system and leave you feeling fabulous. 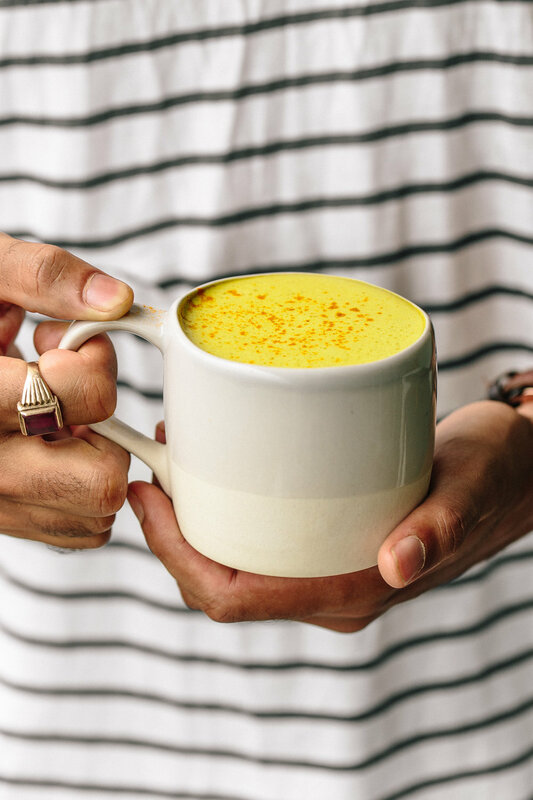 It's laced with anti-inflammatory spices such as turmeric, cinnamon and ginger. Curcumin, the antioxidant that gives turmeric its golden hue, has potent anti-inflammatory and anti-bacterial, gastrointestinal health properties, which have been linked to the prevention of cancer cell growth and management of inflammatory conditions, such as arthritis, asthma, eczema and inflammatory bowel disease. The high antioxidant and anti-bacterial content in turmeric also means it is great for helping to reduce the symptoms of cold and flu. 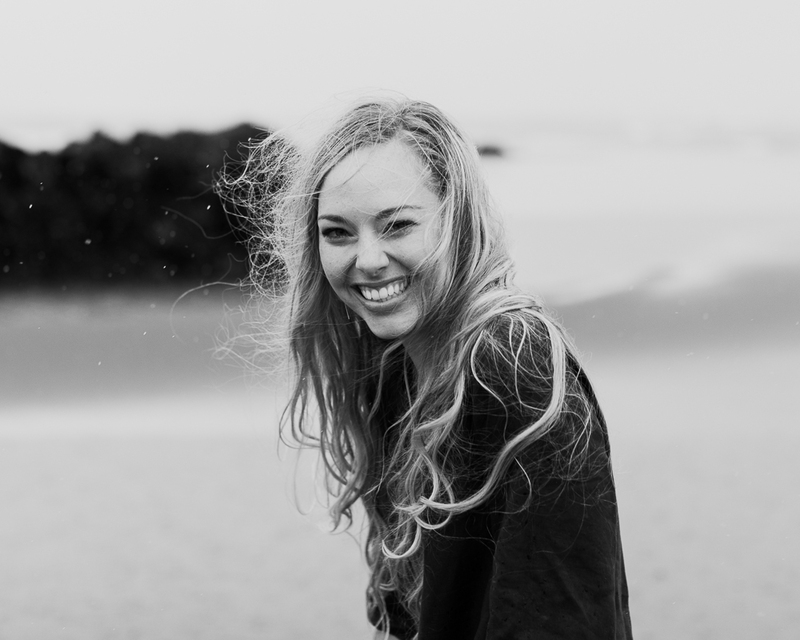 Adding to its impressive list of nutritional benefits, turmeric is rich in manganese, zinc, B group vitamins and iron, which can help support a healthy metabolism. 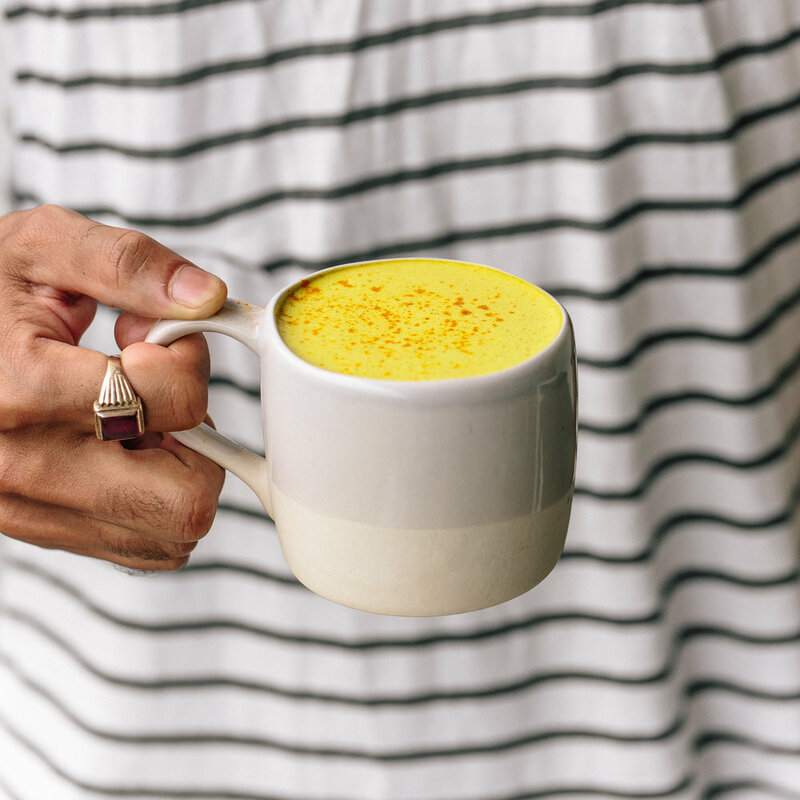 Turmeric is a true superfood because it’s classified as an adaptogen, which means it helps the body adapt to stressors like environmental toxins, inflammatory foods, and lack of sleep. This drink is incredibly grounding, nourishing and a warming drink - it's a perfect drink for morning or afternoon tea. 1. Add all of your chosen ingredients to a small saucepan and heat on low-medium until the gelatin has dissolved completely. If you're using collagen instead don't add it yet. 2. Taste and adjust the sweetness to your own tastebuds. 3. Pour the mixture into a blender and blitz for 30 seconds - 1 minute. 4. If adding in the collagen instead of the gelatin add it in now and blend again for 10 seconds, this prevents the protein in the collagen from denaturing too much. 5. Pour into a mug and enjoy!